The cover of this book captured me right along with the title. And then I read the blurb! 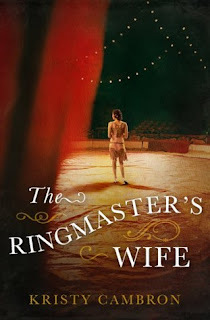 I'm a huge history buff so the thought of taking a sliver of circus history and spinning a story from it completely intrigued me. Knowing it was by a trusted author sold me. Here's a short blurb, and we'll chat on the other side! The book opens with a tiny glimpse of our main character behind the curtain of the Big Top and gives the reader just enough of the moment to plant questions they'll desire answers to. Then the scene suddenly switches to take us back in time for the answers. It's an intriguing start to a book that comes alive in your hand. Cambron's writing only grows stronger with each story she pens. The richness of the setting allows for a fullness in her descriptions that settles us into a bygone era. It is evident she's done her research and found her niche within the publishing world. This is a writer who loves every aspect of what she does and it enriches the world she creates. I loved Rosamond and Colin from their first moment on page, a pairing I only became more invested in with each turn. Rosamond is a strong character who suits this time period well. And Mable was a treat to get to know. The fact that she actually lived inspired me to look her up and learn more about her. The license Cambron takes with the little known about Mable's life is not only creative, but respectful of the legacy Mable left. Not an easy task, and one Cambron makes appear easy. This book is sure to delight readers with its fresh setting and fascinating characters. 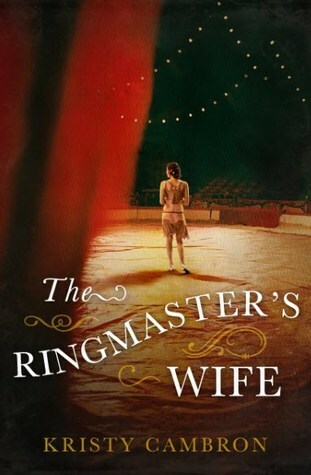 I happily give The Ringmaster's Wife 5 out of 5 stars and you can purchase it here. Thank-you to Netgalley and the publisher for a copy of this book in exchange for my honest review.